At Advanced Vision Care we only use the most advanced laser eye surgery technology and the Bausch & Lomb Technolas TENEO 317 is the fastest treating and newest (released in 2017) excimer laser available, and provides some of the best outcomes. It provides optical sculpting by precisely evaporating tissue from the collagen layer of the cornea. 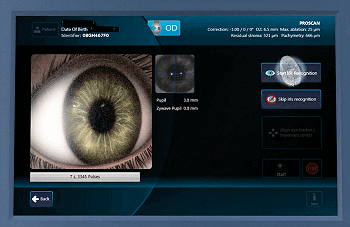 Highly advanced eye tracker which tracks all eye movements – 6 dimensions (XYZ, intraoperative rotations and static rotations using Iris Recognition), takes pictures of the eye (sampling rate) 1,750 times per second (1750Hz) and has as a response time of 2ms so no laser pulses are ever misplaced. It can follow the most sudden or subtle of eye movements. An iris picture is captured on our sophisticated aberrometer (Zywave). It is a thousand times more accurate than a fingerprint and ensures accurate placement of the patient’s personalised laser treatment. 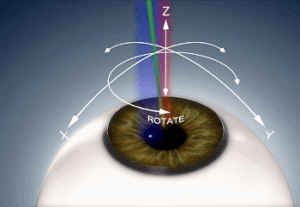 It is especially important for patients with astigmatism, night vision problems or irregular corneas.